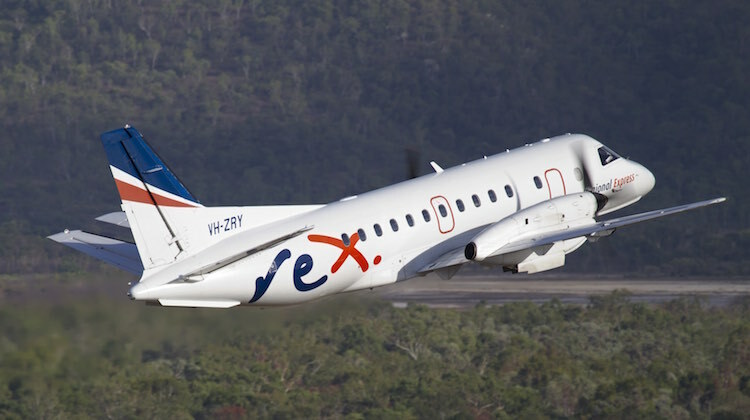 Regional Express (Rex) says the airline group is on track for an improved profit result in the current financial year as its hedging program reduces the fuel bill and new routes in Western Australia contribute to improving the bottom line. The profit guidance was presented to shareholders at the company’s annual general meeting in Sydney on Tuesday. “Rex group expected to post stronger performance in FY17 compared to prior period,” a slide presentation accompanying Rex deputy chairman John Sharp’s address said. However, Rex said it was unable to quantify the increase in profitability for the full financial year, with earnings guidance to be provided at the half year results release in February 2017. Rex posted a full year net loss for the first time in 13 years in 2016/17 as non-cash charges due to the end of a Defence contract, currency movements and weaker passenger demand pushed the airline into the red. The company reported a statutory net loss of $9.56 million for the 12 months to June 30 2016, compared with a $6.67 million net profit in the prior corresponding period. Excluding one-off charges, operating profit before tax was $4.3 million, down more than half from $9.3 million in the prior year, Rex said on August 24. Sharp told shareholders the airline’s Western Australia flights to Albany and Esperance that began in February as part of a five-year contract with the state government would contribute nine per cent of annual passenger numbers. Meanwhile, the company’s fuel hedging program was expected to save the airline group $6.5 million, with 75 per cent of 2016/17 fuel needs already locked in. The estimates were unchanged from the company’s forecasts published at the 2015/16 full year results in August. Further, Pel-Air’s medivac operations out of Singapore – the Rex subsidiary redeployed a Westwind jet to the city-state after losing the Defence contract – was going well, while Rex’s pilot training academy the Australian Airline Pilot Academy (AAPA) has received approved training status with the Civil Aviation Authority of Vietnam and was experiencing strong demand from international enrolments. “Whilst Australian economic growth remains uncertain, we believe that Rex has a strong base to weather any challenges ahead,” Sharp said in prepared remarks. Rex said its enterprise bargaining agreements with pilots and engineers had been ratified. When will the Saab 340b’s be replaced? Could the age of those aircraft have anything to do with the drop off in passenger numbers? The youngest one is over twenty years old. Look what the competition is flying with!